The Must-Have Lens Gear … by Cool-Lux? 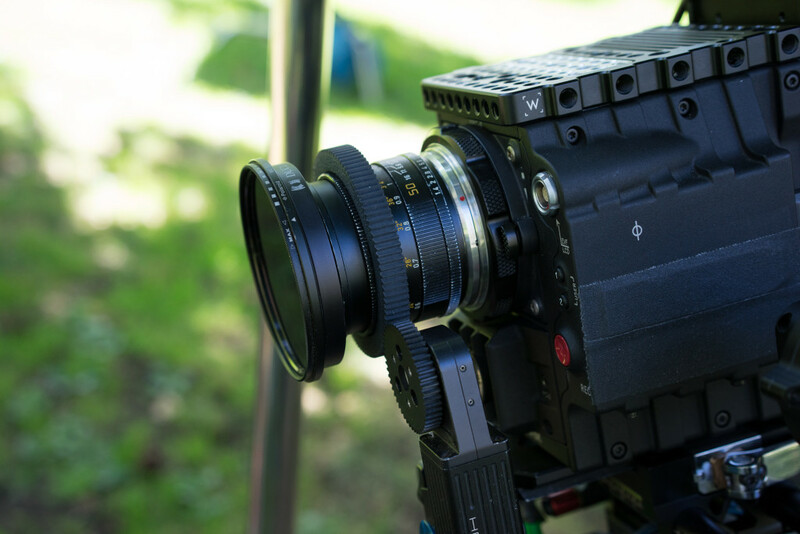 | Onyx Cinema, Inc.
Now when it comes to focusing stills lenses for video, you can always turn the focusing ring on the lens barrel. The problem here is that by directly holding the lens, you may introduce unwanted movements and even shakes. So the alternative is to use a follow focus or a wireless follow focus. 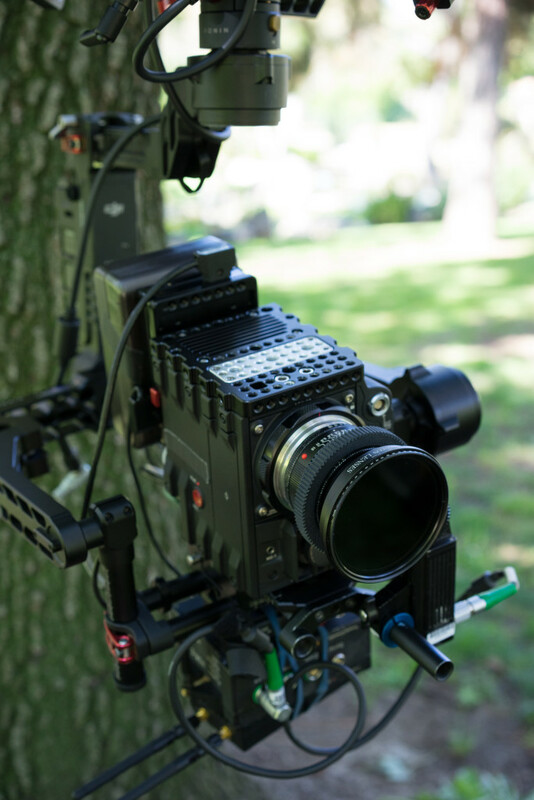 In order to use a follow focus on a still lens, however, you would need to attach some sort of gear ring unto the focusing ring so the follow focus has something to turn. Unfortunately, gear rings are often poorly designed and somewhat cumbersome to attach. Below are some examples of the typical types of gear ring that are out there. They are either secured on the lens by using a screw or by tension. 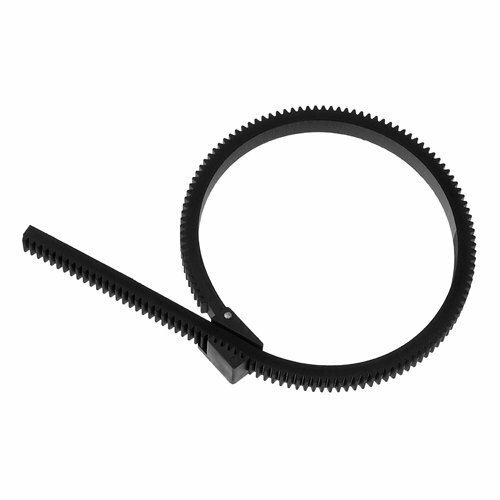 If you have used either of these types of gear rings, then you know how difficult and time consuming they are to attach. On top of that, the excess end and the protruding screw can get in the way whenever you want to rack your focus. Sometimes, you even have to detach and reposition the gear ring in order to have enough clearance at both ends of the focus. On top of that, even if you have tightened the gear ring securely, they can still slip during use. Yes, they are definitely a pain to use. Thankfully, rather just making the same old gear ring that everybody under the sun makes, Cool-Lux created a unique gear ring called Lux Gear that is has a full and usable 360 degree rotation. 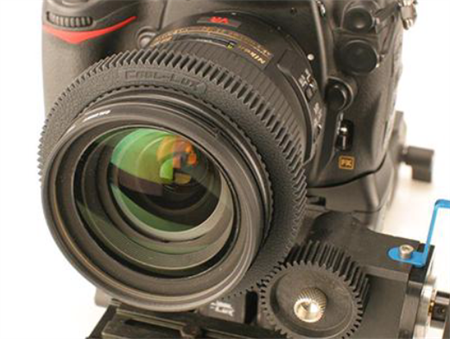 There is no excess piece or screw that gets in the way of the follow focus. Moreover, the additional diameter means that the lens end up with a longer throw for a more precise focusing. So how does it stay on, you may ask? First of all, let’s talk about the construction of the Lux Gear. 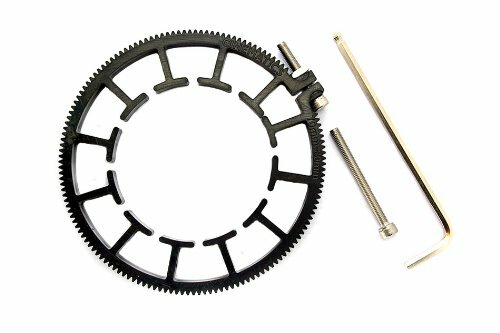 The outer portion with the 0.8 cinema-standard pitch gear teeth is made out of a hard “high-durometer silicone” material that doesn’t flex or deform when the follow focus gear is turning it. The inside of the Lux Gear is made out of a slightly softer, grippy rubber material that holds on tightly to the lens. It is actually very surprising how secure the hold is around on the lens. Of course, since the Lux Gear is relatively rigid, each one is specifically made for a small range of lens diameter. The Zeiss Planar T*1,4/50 ZF in the photo below has a particularly long throw that made it impossible to use with a regular zip-tie gear ring, so the Lux Gear really helped us out. With the Lux Gear, however, I didn’t have to worry about that long throw, and the Lux Gear lived on the Zeiss lens the entire time we shot with it on the RED DRAGON on the DJI Ronin. It stayed on securely and performed just as well as a cinevised still lens that you find from companies like Duclos Lens. If your lens is not on the manufacturer’s list of lenses, you have to carefully measure the outer diameter using Cool-Lux’s printable ruler that you can download here. Yes, the Lux Gear by Cool-Lux are fairly pricey at $25 each, and you’d probably want to pick up a few, so the cost can ramp up pretty quickly, but they are worthwhile investments to have because they are well made and work very reliably. Additionally, they are very easy to install and once they are on the lens, you don’t have to readjust them throughout the day because they stay on the lens very securely. I would love to see them be more readily available in bigger stores like Amazon, Samy’s Camera, and B&H Photo, especially when you have to make sure that you get the proper diameter for your set of lenses. Currently, you can buy them on Cool-Lux’s website through the link below. I’d suggest to try one or two and see how you like it. If you’re like me, you’ll probably get more for the rest of your lenses.